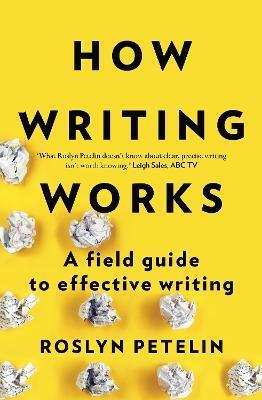 This is Roslyn Petelin's promise: whether you already write reasonably well or not, this book will exponentially improve your writing. How Writing Works is a lively and practical introduction to the elements of grammar, sentence structure, and style that you need to write well. The book covers social media and writing for online publication, as well as the most common documents in the university and the writing-reliant workplace. How Writing Works should be on the desk of everyone who needs to write: students, professionals in all fields, and creative writers. Associate Professor Roslyn Petelin initiated and designed the award-winning Program in Writing, Editing, and Publishing at the University of Queensland, and developed the hugely successful international online course WRITE101X English Grammar and Style. She is co-author of The Professional Writing Guide and Professional Communication, and consults extensively to government and other organisations on writing, editing, and information design.